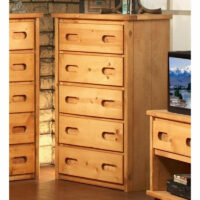 Real wood, real storage solution! 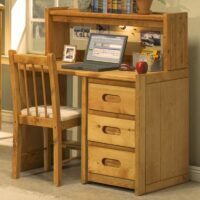 Kids and parents love the Trendwood Wrangler collection. 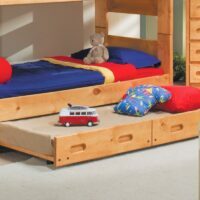 Trendwood Wrangler Bunkhouse Twin Bunk Bed Mattresses included! 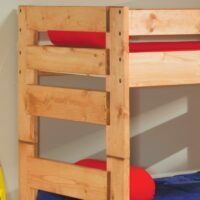 Kids and parents love the Trendwood Wrangler Bunkhouse Twin Bunk Bed. It’s great for young kids and it has three options. Finished in Cinnamon stain. Two twin mattresses included.